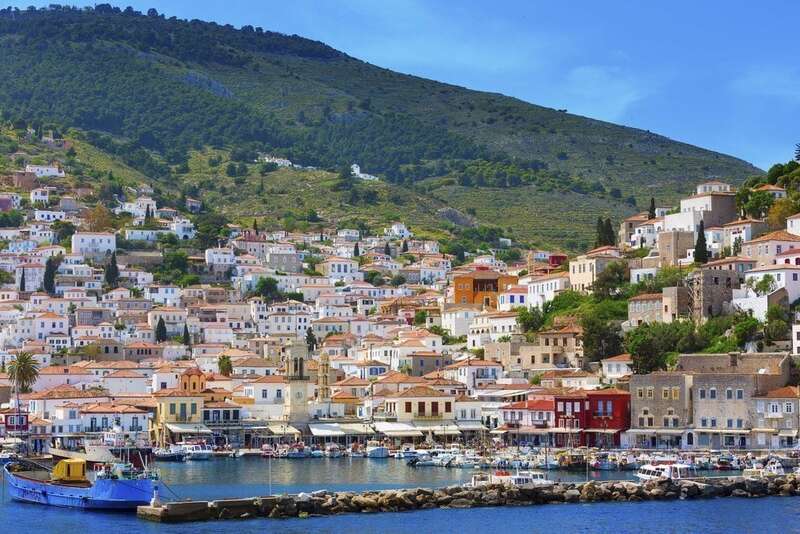 Hydra, the most famous island of the Argo-Saronic Gulf, is a little paradise easily accessible from Athens, a popular escape destination for many Athenians on the weekends. 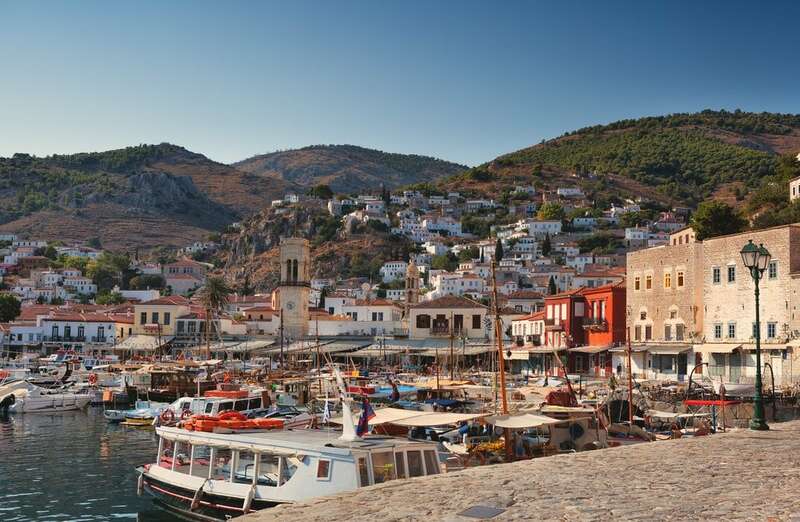 The charming old town of Hydra is constructed amphitheatrically on the rocky hillside around the port. Since the medieval times, the Hydriot fleet was one of the most important in Aegean Sea and the ship owners among the richest men in Greece. They build their houses in imitation of the Venetian palaces and many of these noble residences still offer today a magnificent scenery. 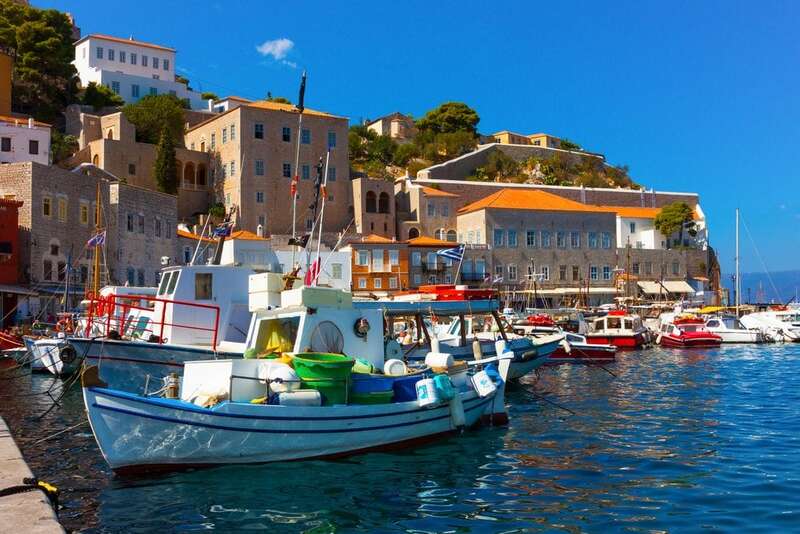 Surrounded by these beautiful old houses, the historic port of Hydra is nowadays packed with yachts, vivid cafés, lovely taverns and restaurants. Among the most beautiful beaches of Hydra, Kaminia, a small calm fishing village, Vlychos, a lovely red pebble beach and Mandraki, the most famous sandy beach of the island. 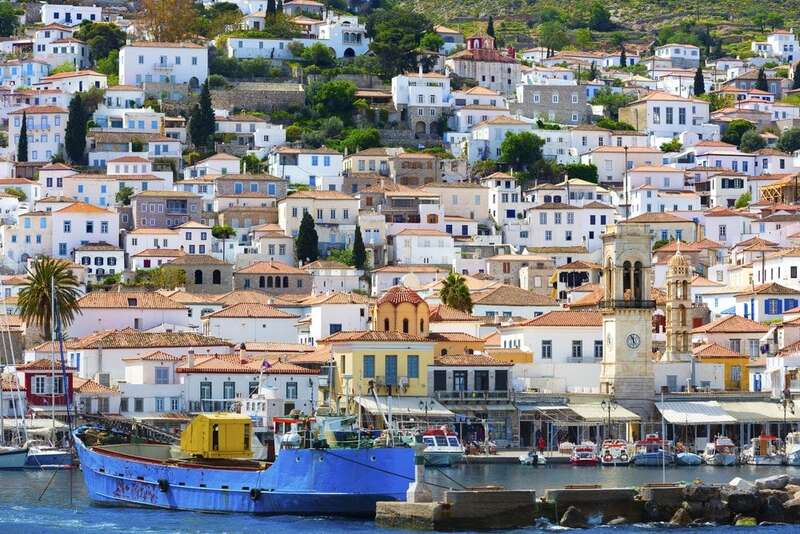 By boat: Ferries from Piraeus port and from Ermioni, on the Peloponnese coast.